The Mavs' assistant is a pioneer. I am certain I have sung the praises of God Shammgod here before. 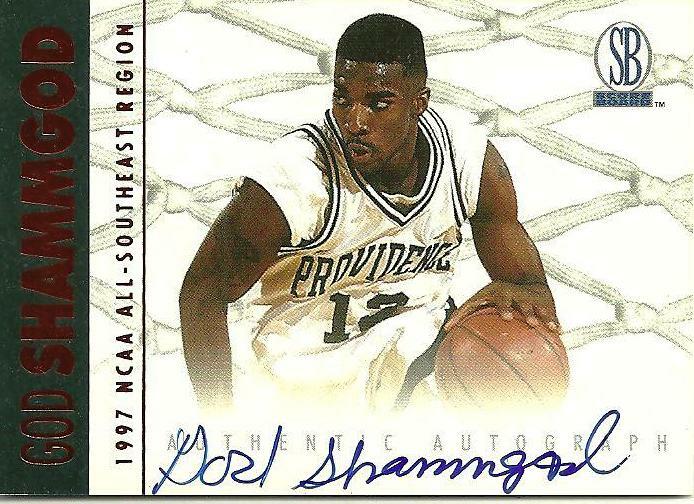 Quick catch up: he was a star at Providence. Had a very short run in the NBA — 20 games with the Wizards — that belies his impact on the league through his eponymous crossover move, which is undoubtedly the most beautiful and mesmerizing dribble maneuver in all of basketball. That legendary handle (that is every bit as legendary as his other handle; both are God) got him hired as the NBA’s only ballhandling coach before the 2016-17 NBA season. Now the Mavs’ assistant gets some more shine, via the Washington Post. Read up. (Also, while we are here, Puma please please please release these prayer-hands-emoji.